Investors of Yes Bank fly away who is known to be the private lender proud on its growth trajectory and facebook likes. Investors slightly turn away with one-third of its market value in a single day because the regulator perhaps did not find its founder and chief “fit and proper” to run the bank anymore. Yes Bank’s co-founder and also the chief executive officer, Rana Kapoor was the face of the lender at every forum. Yes, Bank pace of growth attributes to its CEO’s aggressiveness. Beyond January came as a rude shock to shareholders who had given a three-year extension to him in June. Kapoor’s mistake is said to be what almost every banker was accused of making hiding toxic loans by marking them as standard. Divergence was marked already for that time and investors punished the stock on Friday. Majorly, investors believed that Rana Kapoor and the bank were indistinguishable. The articles of association give Kapoor and co-founder Ashok Kapoor (deceased) powers to appoint three directors on the board permanently. 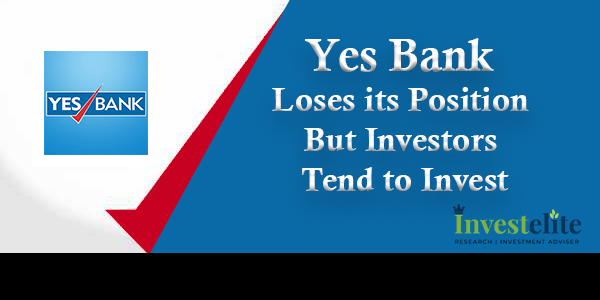 One important question that investors now have is with Kapoor has gone can Yes Bank continue on the same growth trajectory that has given it lofty valuations? Another fear that investors have, given RBI’s inconsistent refusal to give Kapoor a long extension, is whether there are more toxic assets as they appeared as standard and what’s more, with a new cleanser at the bank will these now be swept out into the open. The crucial question arises in mind is whether RBI would accept a successor that the bank board nominates. An outsider would bring in cleaner and perhaps more strong risk management but may not match Kapoor’s aggressive growth strategy. A successor from among the current executives of the bank would provide continuity but the regulator may not agree, given that they too are responsible for the bad loan divergence. In short, there’s still a lot of uncertainty and till it lingers, the bank’s stock could be in for prolonged pain despite the massive valuation erosion on Monday. Having dropped 29%, the stock now trades at 1.7 times its estimated book value for FY19.